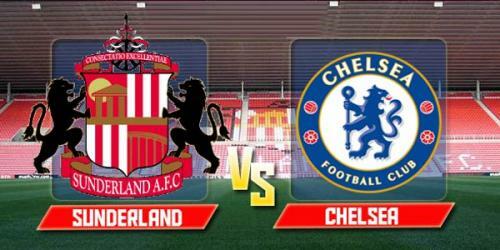 Ahead of tomorrow’s game against Sunderland, The Chelsea Blog had a chat with Colin from Salut! Sunderland. TCB: Plenty would like to blame our car crash of a season on Mourinho, I can only imagine they have short memories. To blame it on him would suggest the same Jose Mourinho who won three titles with us became a bad manager overnight. In reality, we weren’t great last season and in fact, have needed a proper makeover for longer. Mourinho managed to make a silk purse out of a sow’s ear, albeit in a poor Premier League season, but it papered over cracks and the club were complacent as a result. The need to freshen up wasn’t recognised and we’ve looked stale all season. Who knows what happened pre-season but the whole Swansea thing snowballed. Don’t get me wrong, Jose could have handled the situation better but I could see why he’d be furious. Hazard wasn’t injured, what he was, was apathetic. That attitude is something he’s been berated for the entire season, yet Mourinho reacting to it – or rather, reacting to a medic pandering to it – was considered less acceptable. All the denials in the world about player power won’t wash for me though. We still haven’t set the world alight without Mourinho but given the way Guus has managed us, that’s not surprising. Yet the same players who were sliding a bit too close to relegation for comfort, have managed to avoid it. There’s been plenty of toys thrown out of prams, including mine. I’m still clear we’re not entitled to win games, results have to be worked for but expectations have been higher for the last ten years or so and the real shock has been the lack of effort. How has Guus Hiddink done in sorting out the mess he inherited and what do you feel should be the logical succession? I think most would say he steadied the ship, I’d say whether that was down to him or the players themselves is debatable. Hiddink hasn’t exerted himself this time and anything he’s perceived to have done is irrelevant the minute Conte walks through the door anyway.